Below are my Top 4 Dandelion food moments. Of course, these Top 4 decisions were incredibly hard to make as every lunch was perfect, but if I were to ask for some repeats, these would be my picks! 1. 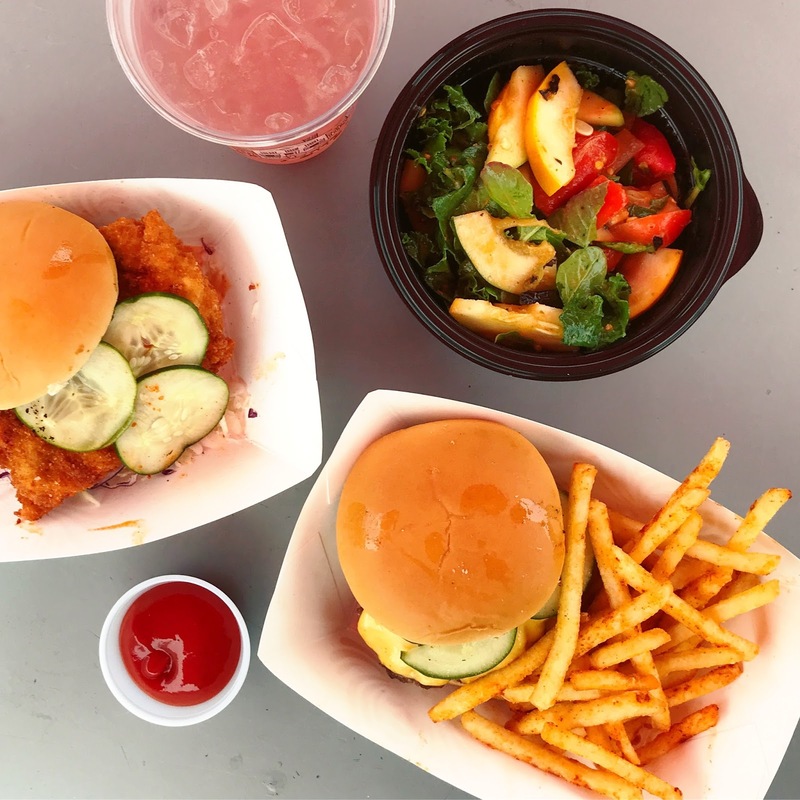 Bahn Mi Burger by Chef Joel Mahr: This juicy turkey burger was topped with pickled daikon and carrots, cilantro, cucumbers, and a mouth-water-inducing chili aioli. I remember eating this burger while walking back to my office and having a huge regret for not turning back to buy another one. 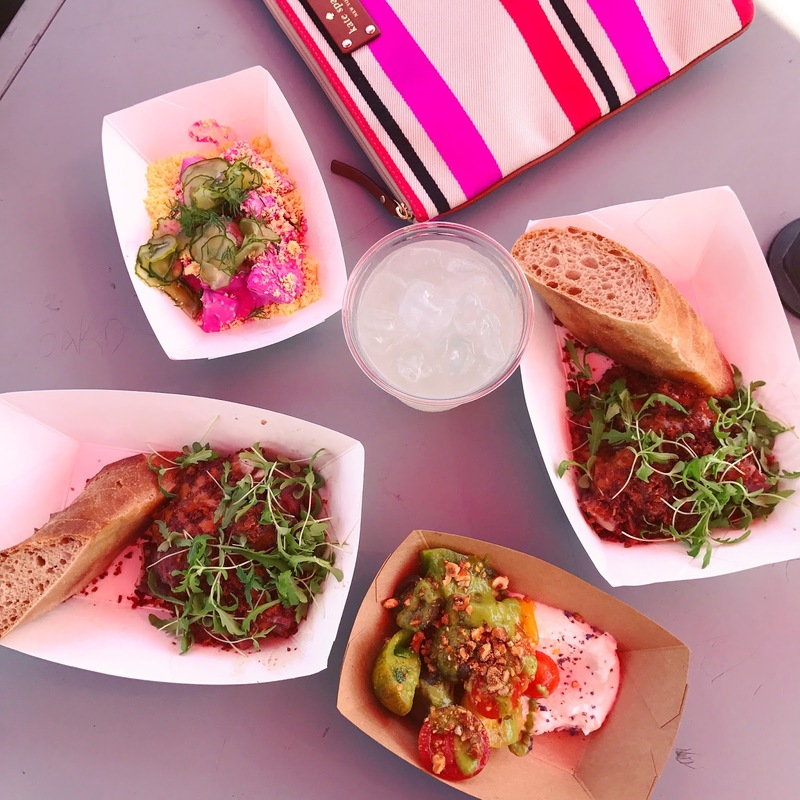 Basically, the sweet, salty, and tangy flavors melded perfectly together and made me want to somehow become one of Chef Mahr’s best foodie friends. Maybe this can happen when his new restaurant (Primrose) opens in Corning, Iowa.. just saying! 2. Pork Steam Buns from Chef Jason Hughes: O.M.G. These were the most flavorful little bundles of foodie joy! Warm pork steam buns served with homemade gochujang. Seriously, the most flavorful experience of my life! I loved how tender the pork belly was and how fluffy the little steam buns were. 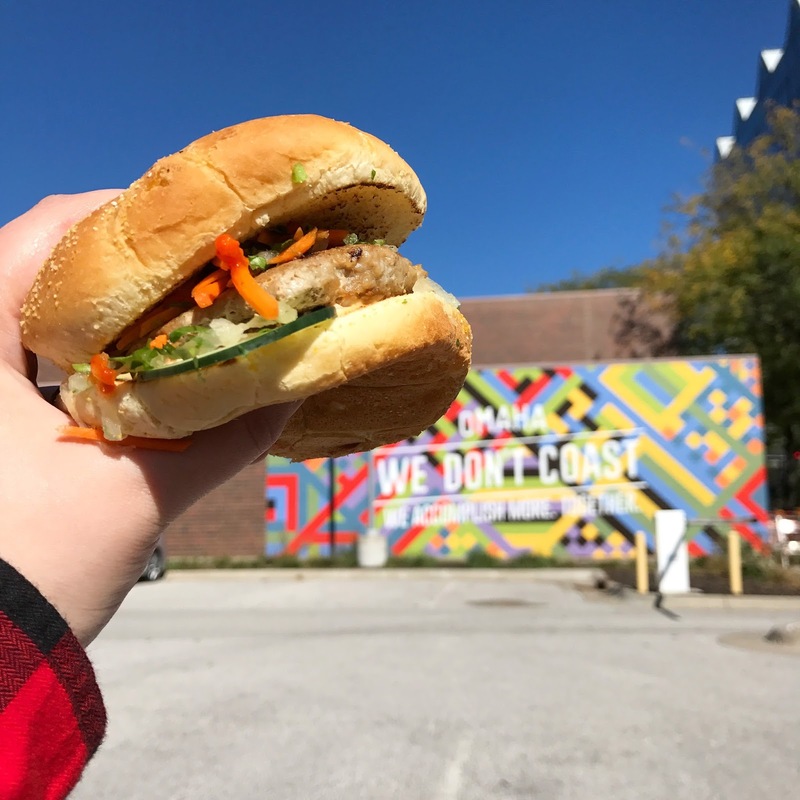 A match made in pork-bun-heaven. 3. 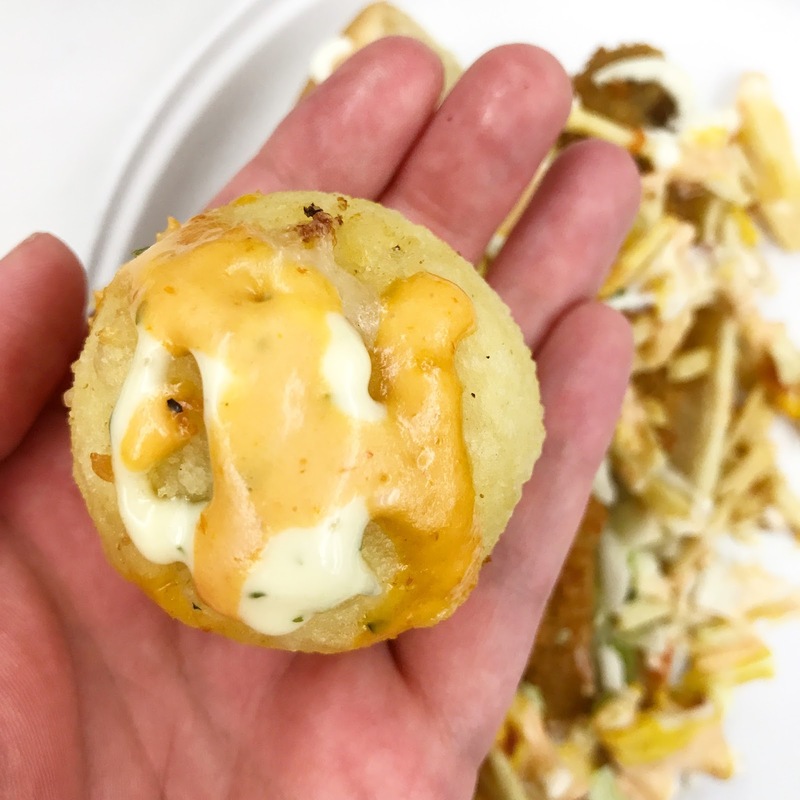 Cheese Empanada Rounders from Chef Carlos Mendez: One bite in and I thought I was in cheese heaven… I know Chef Mendez always rocks his menus, but these cheesy bites were packed with such fun flavor! I honestly don’t even know how to describe the taste, but you can’t go wrong with cheese in fried dough. 4. Steak and Potatoes from Chef Patrick Michaels: 45-day wagyu prime sprinkled with potato powder. Yes, you read that right! POTATO. POWDER. I thought it sounded very strange, but it was the most Midwest comfort food experience I have ever had. It felt like what you imagine eating science would feel like. 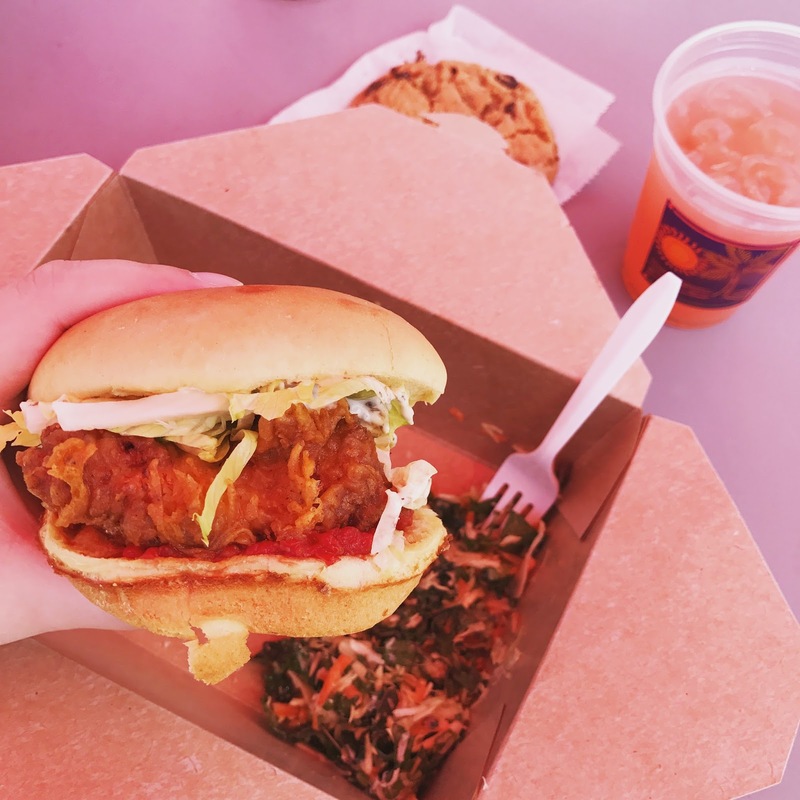 I hope this pops-up on the menu at Monarch Prime someday..
– The Fried Chicken sandwich from (again the fantastic) Chef Joel Mahr: The meat was delicious and the sauce would be worth swimming in. – LICKY DRIPS!!! Luckily these guys have pop-ups (mostly at Mula!) around town and were incredibly close to making my Top 4. MOST FUN burger in town! I hope they open their own restaurant someday too! – Sandwich Proper’s breakfast sandwich galore. I hope these guys pop up somewhere around town again this summer or open up their own shop. I would definitely be there – best breakfast sandwiches maybe ever?! – BOHO Fried Rice! Can I just make this post a top 8? The chicken fried rice was the best I have ever had, full of flavor and warmed the belly. – I am not vegan, but the philly from Fauxmaha Hot Dogs was incredible! Yeah seitan love!! 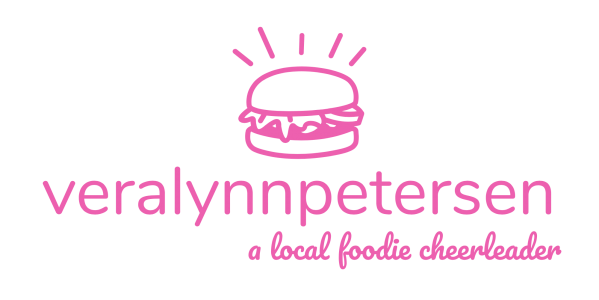 – The Brunch Burger from Donny Rodden of Attitude on Food was soooo fun! I think this would be the most fun Dandelion menu with the bun being waffles adorned with a maple syrup-filled pipette. 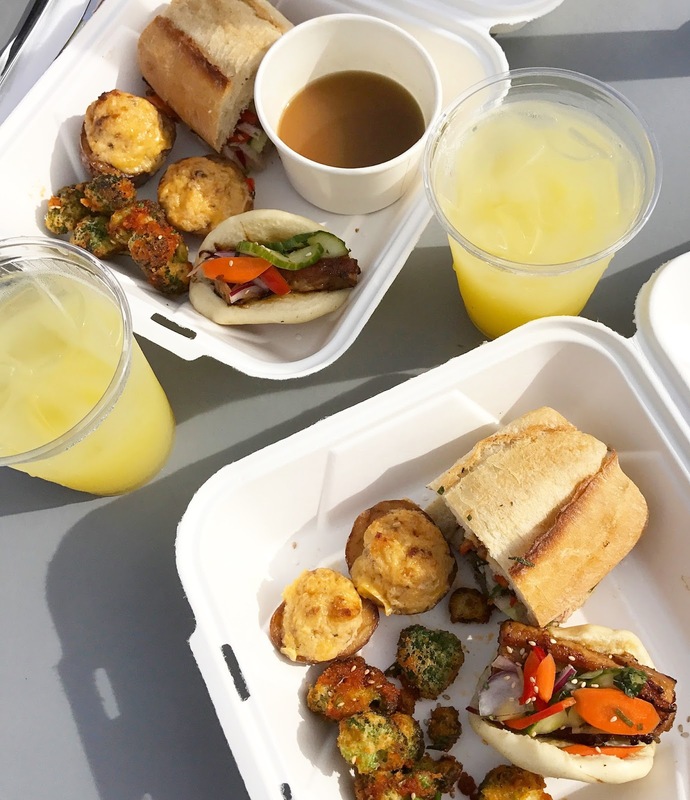 – Empanadas from Chef Tony Knotek of Mercury… always a hit and I love that you can get these at their bar! 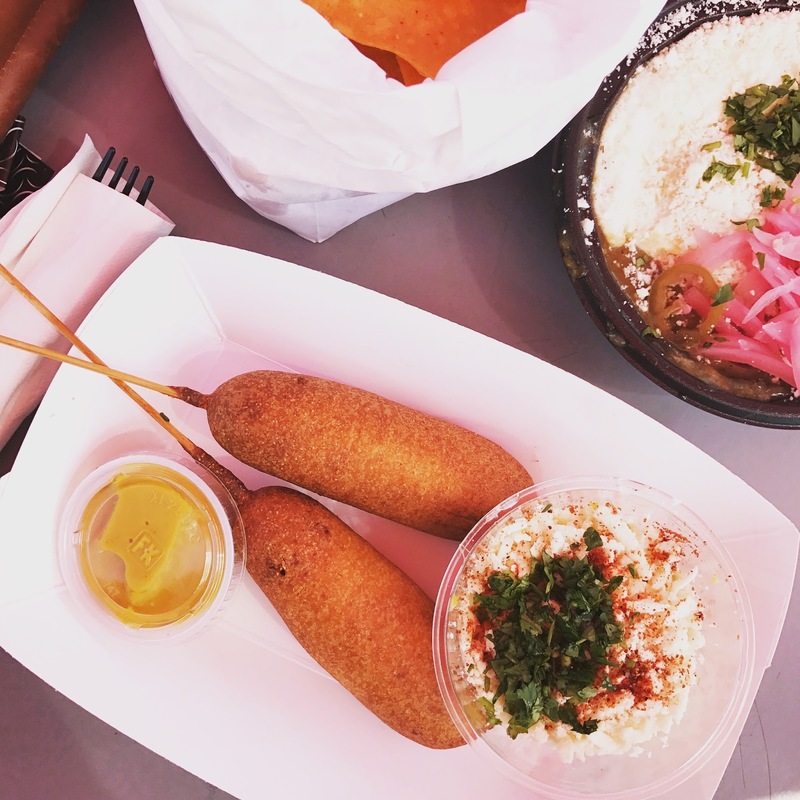 – DOS PERROS (chorizo corn dogs with tequila lime mustard!) from Chef Jason Hughes and Chef Juan Lupercio of Happy Hollow Country Club. I was skeptical about this one at first, but it did not disappoint! 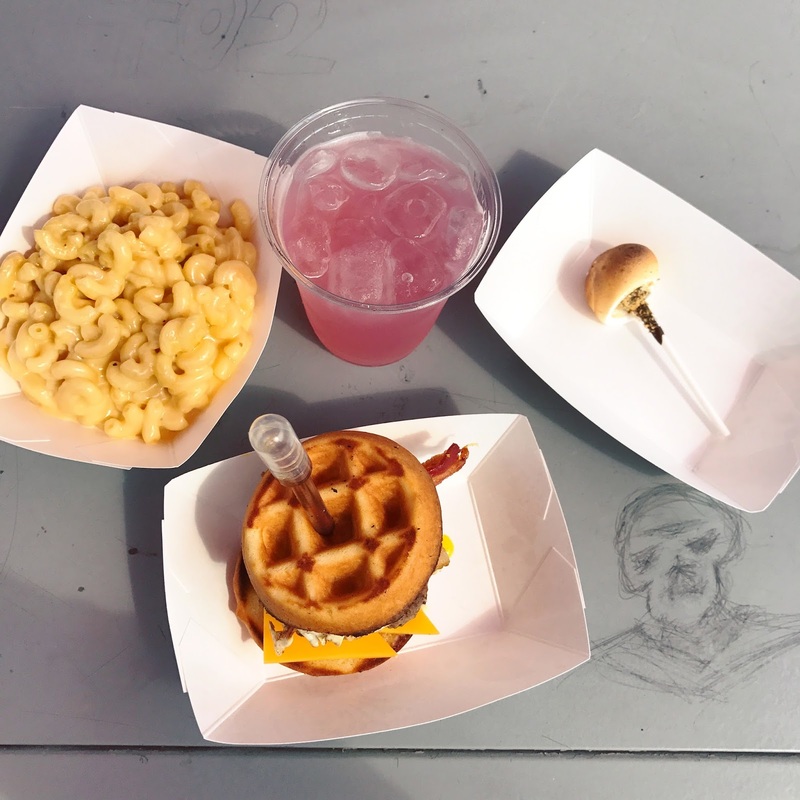 – Missing the Le Pig Mac: I wanted to try this one so bad and am sure it would have made my list! Thank you to ALL of the local chefs around Omaha, especially the ones that give up some of their time to do pop-ups at Dandelion. You inspire so many people in Omaha!